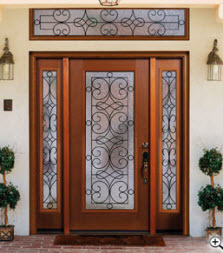 Bella Vista offers a broad selection of fiberglass entry doors to meet any individual taste. 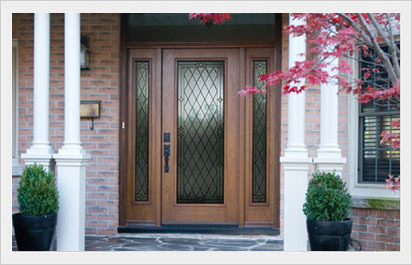 Fiberglass doors are valued for durability, resisting denting, splitting, cracking, and warping. 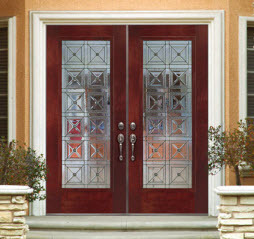 These doors come in both smooth and textured (wood-grain) finish and can be painted or stained (textured). 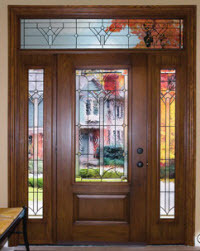 Our Fiberglass entry doors are offered in a wide variety of panel styles, glass designs, and material types. 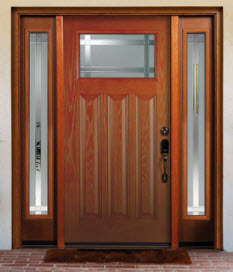 We offer different models and configurations of fiberglass doors. 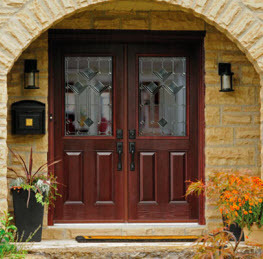 Add a door glass in the design and size of your choice, and make your entrance stand out! 1. 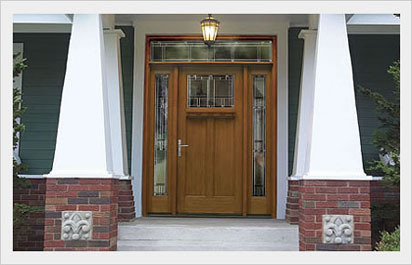 Reinforced laminated wood jambs to withstand the northern climate. 2. 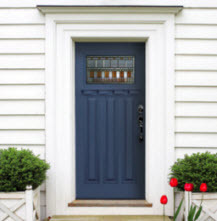 7 times more insulation value than a wooden door. 3. 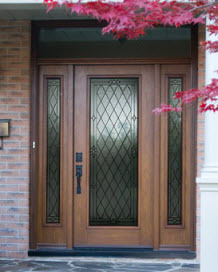 Removable PVC cap on each side of the door that protects the wood jambs against scratches and bumps. 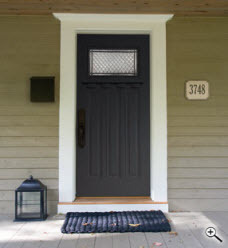 Easier to stain or paint. 4. 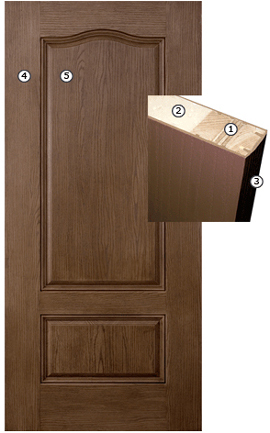 When stain is applied, the finish imitates the rich texture of natural wood. 5. 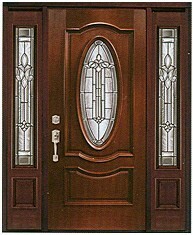 Several models available that provide the classic look of a solid wood door.